agg. Small pond near Humbleton, Wooller, Northumberland.. 30 Oct 2012. © C.F.Carter (chris.carter@6cvw.freeuk,com). agg. Red-cyan anaglyph. Small pond near Humbleton, Wooller, Northumberland.. 30 Oct 2012. © C.F.Carter (chris.carter@6cvw.freeuk,com). agg. Red-cyan anaglyph. Small pond near Humbleton, Wooller, Northumberland.. 15 Jul 2012. © C.F.Carter (chris.carter@6cvw.freeuk,com). 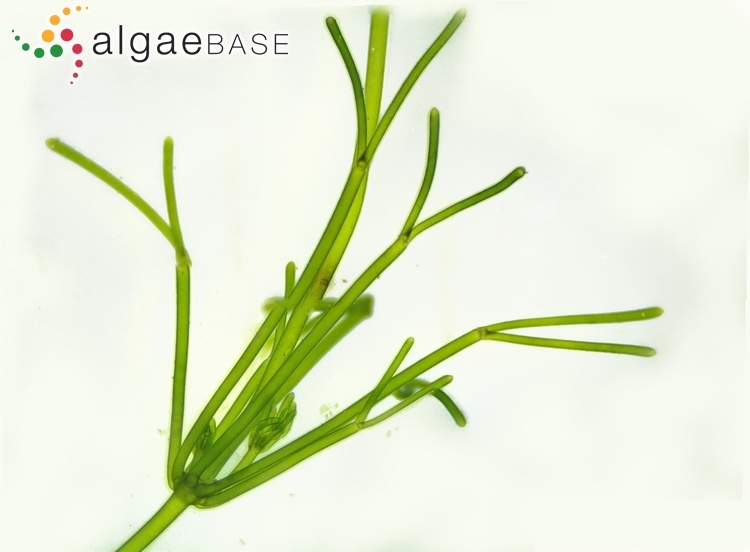 Nitella flexilis (Linnaeus) C.Agardh agg. Node, red-cyan anaglyph. Small pond near Humbleton, Wooller, Northumberland. 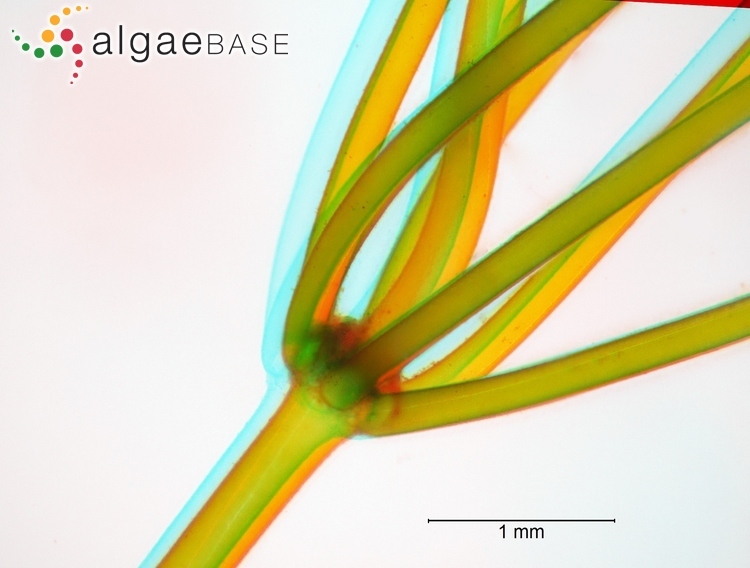 Type locality: "Habititat in Europae maritimis" (Silva 1996-to date). Swedish: Glansslinke (Tolstoy & Österlund 2003). 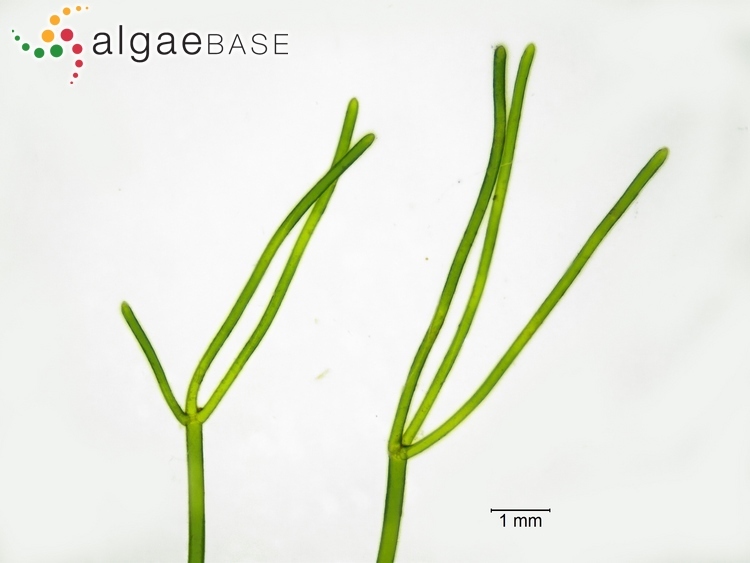 Nitella flexilis differ from Nitella opaca by being monoecious. It is not possible to separate the two species in sterile condition. 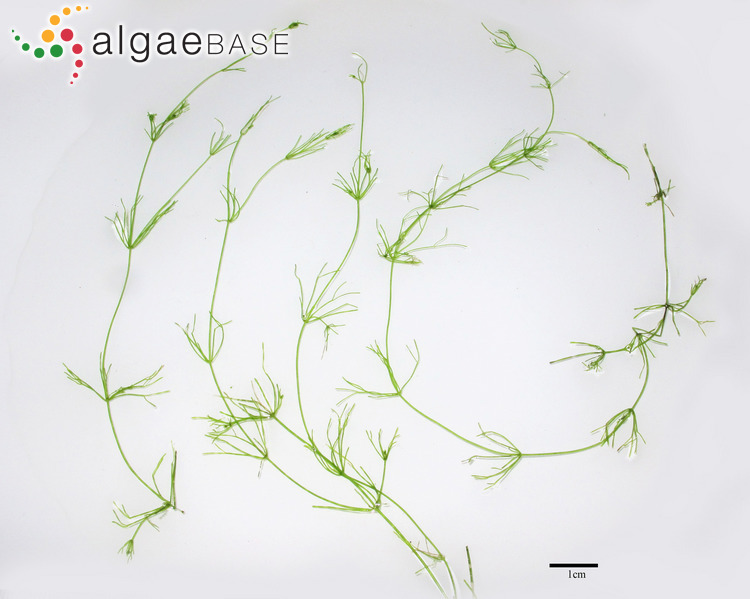 Nitella flexilis is found in many types of habitats; Lobelia lakes, Potamogeton-lakes, high mountain lakes, small ponds, ditches, rivers and also slightly brackish water, but it seems to prefer soft oligotrophic waters. 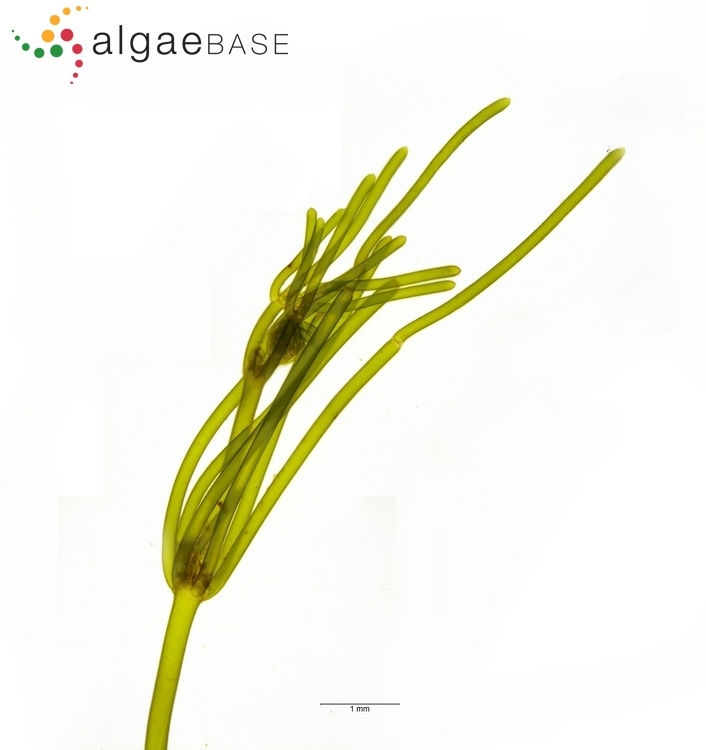 N. flexilis is also found in cold areas. 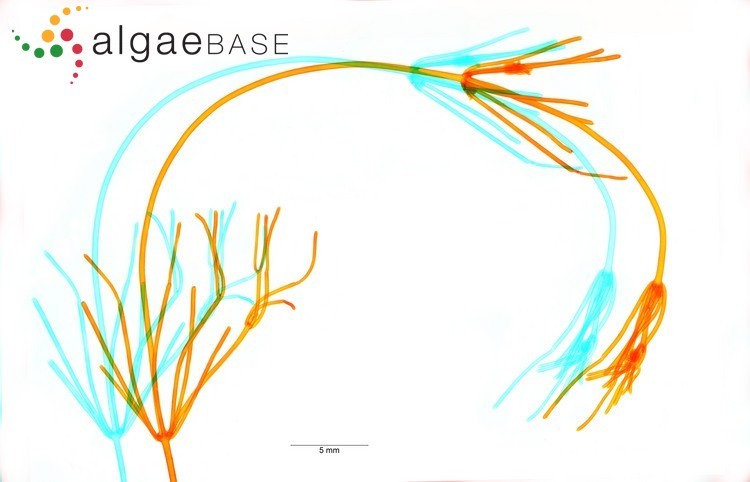 Kashimura (1969) found that the species developed best at low temperatures, with the best growth of the gametangia at 5-10oC. 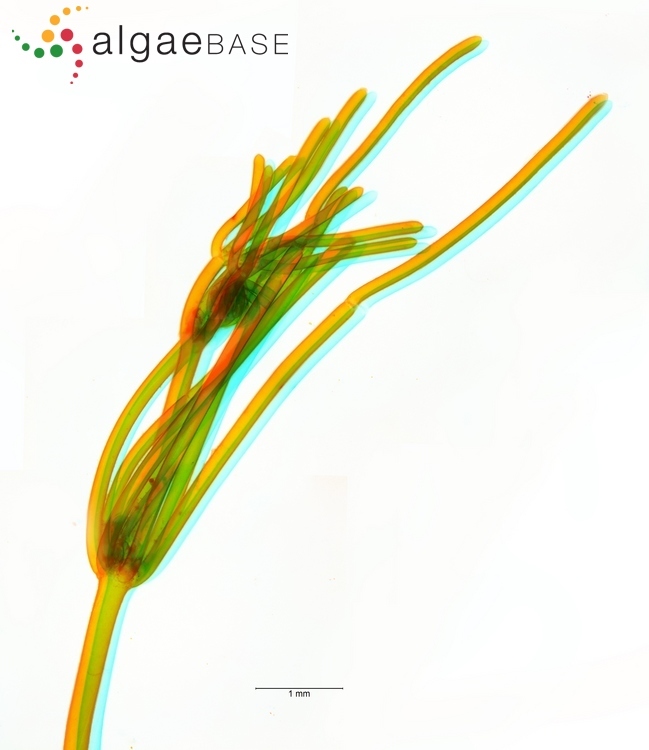 The species has fertile plants from May to September and ripe, black oospores from July onwards. N. flexilis var. fryeri is markedly protandrous. It has been found in Norway. 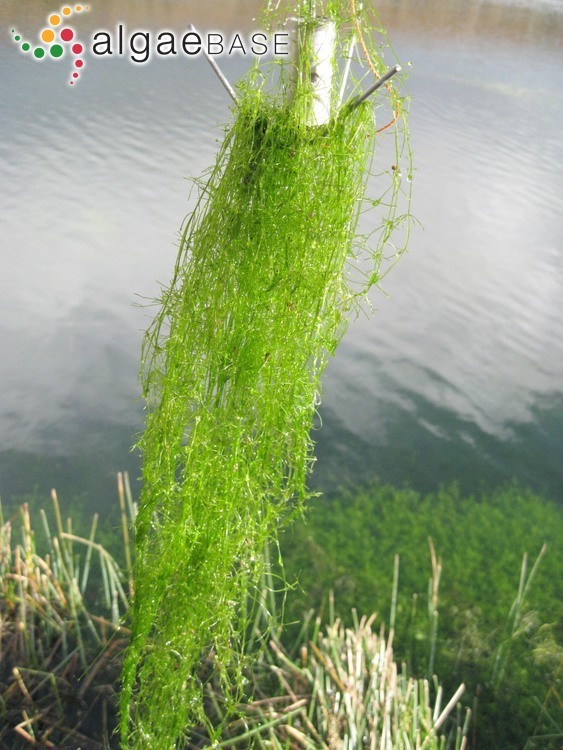 In some lakes, probably with unfavourable conditions (temperature) one can find only sterile specimens which must be named Nitella opaca vel flexilis. Accesses: This record has been accessed by users 4988 times since it was created. Allen, T.F. (1896). 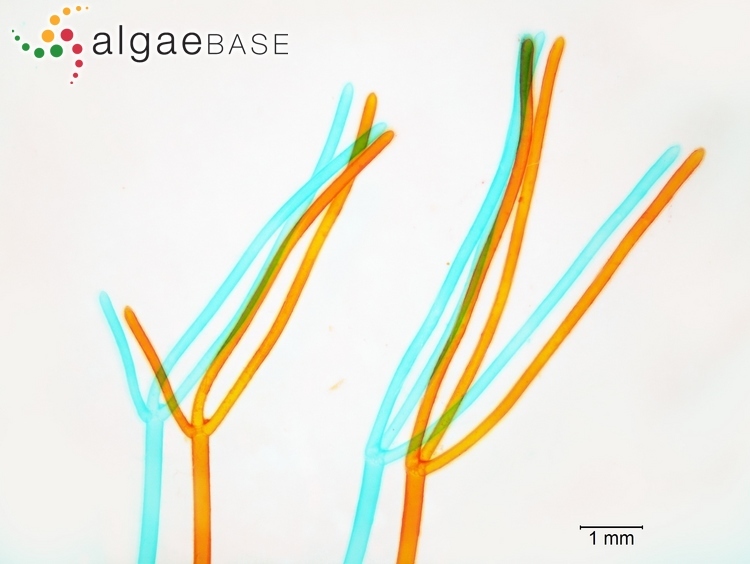 A new species of Nitella, belonging to the N. flexilis series, with a review of the allied species. Bulletin of the Torrey Botanical Club 23(12): 533, pl. 284. Foissner, I. (1988). Chlortetracycline-induced formation of wall appositions (callose plugs) in internodal cells of Nitella flexilis (Characeae). Journal of Phycology 24: 458-467. Foissner, I. (1989). 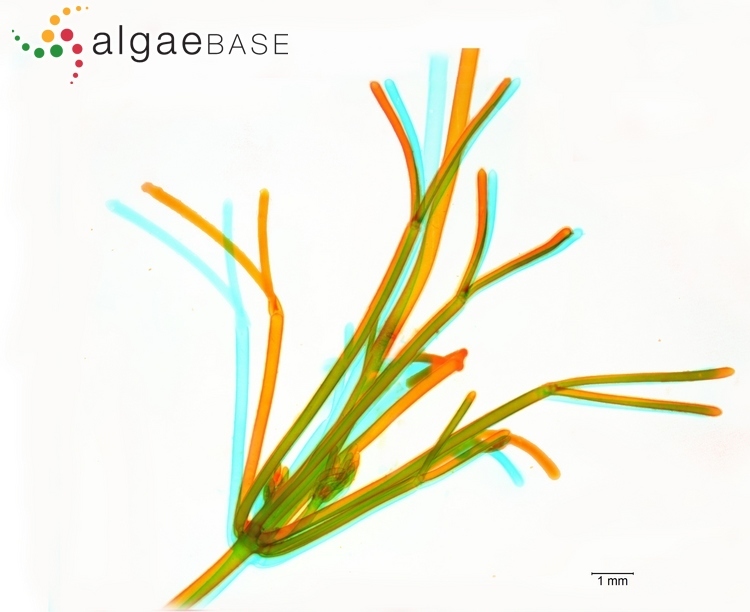 pH-dependance of chlortetracycline(CTC)-induced plug formation in Nitella flexilis (Characeae). Journal of Phycology 25: 313-318, 12 figs, 4 tables. Foissner, I. (1989). pH-dependence of chlortetracycline (CTC)-induced plug formation in Nitella flexilis (Characeae). Journal of Phycology 25: 313-318. Groves, J. & Bullock-Webster, G.R. (1919). New variety of Nitella flexilis. J. Bot. 57: 101-102. Tindall, D.R. (1967). 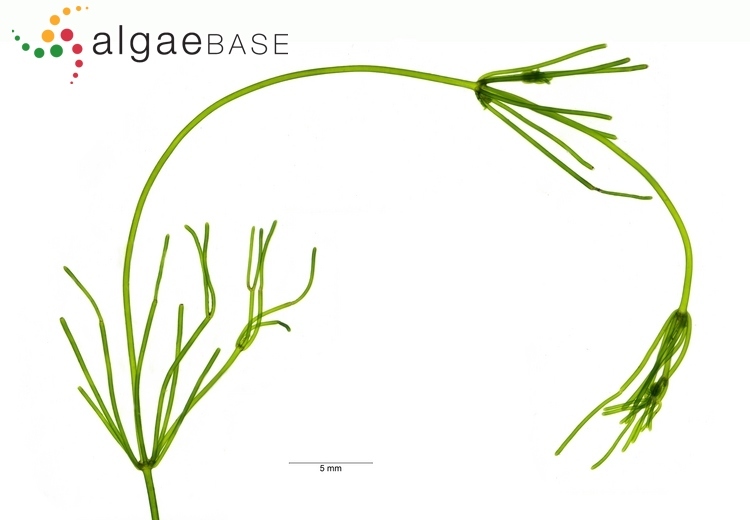 A new species of Nitella (Characeae) belonging to the Nitella flexilis species group in North America. Journal of Phycology 3: 229-232, 2 figs, 1 table. Wallen, D.J. (1973). Kinetics of amino acids influx into Nitella flexilis. Journal of Phycology 9: 148-152, 3 figs, 1 table.